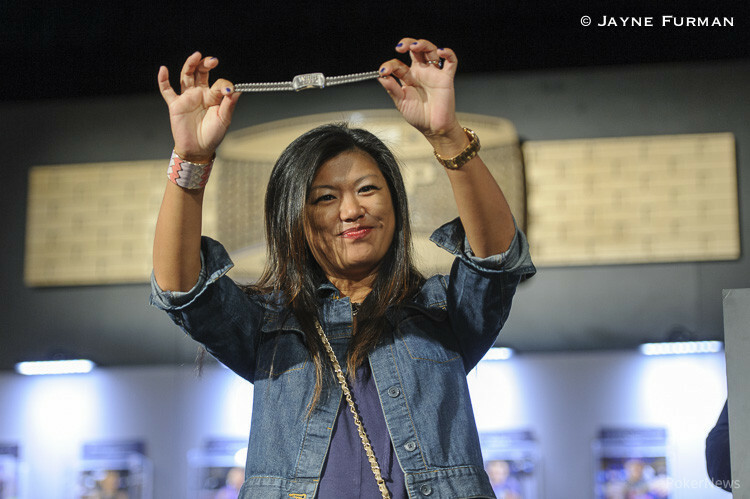 Hand #20: Persia Bonella raised to 23,000 and won the blinds and antes. Hand #21: Mikiyo Aoki raised to 25,000 and scooped up the pot. Hand #22: Haixia Zhang raised to 25,000 and Aoki made the call. Kendra Wray then pushed all in and action folded back to Zhang. The count came to 99,000 to call and Zhang had a decision to make. She elected to raise it up to 200,000 and Aoki let go of her hand. Wray was in the lead and looking to double up. The flop was safe with . The turn put Zhang in the lead when it came down , and Wray couldn't retake the lead when the river was revealed as the . 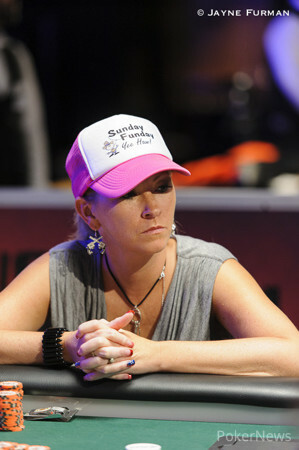 Wray was eliminated from this tournament in seventh place and has earned $19,120.